Arup Mallik, who passed away on May 25, 2017, was an economic theorist from Calcutta, a city with an established tradition of producing some of the brightest Indian economists. He had impressed all those who taught him and won coveted prizes in India (he studied in University of Calcutta) and the United States of America (he did his PhD work at the University of Rochester). He warily avoided self-advertisement though, and refrained from publishing his research output in academic journals, possibly on account of the unreachable standards he had set for himself. 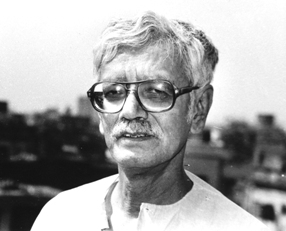 He spent most of his career teaching economic theory to postgraduate students of Calcutta University. During his heyday, he was the quintessential teacher who delivered classroom lectures the way Mozart might have conducted his symphonies. “Here was a Teacher! When comes such another?” was the expression of wonder with which his students invariably applauded him. He taught mostly his own creations, which he doggedly refused to write up. A single exception to this rule was his paper titled “A Note on Multiplier and Real Wage Adjustment” (1977), on which several other researchers based their published papers, but which itself vanished, probably through termite-ridden neglect. His sharp, analytical mind was constantly engaged in dialectics, rejecting theses by antitheses, replacing ever new structures by newer ones. He was a nonconformist as far as conventional economics teaching went and constantly searched for alternative paradigms. Thus, teaching itself was a form of research for him. Quite apart from his teaching skills, he was vastly popular among his friends and students, thanks to his sense of humour and personal charm. Many of his students-turned-friends grew up into successful researchers in the established sense, earning worldwide acclaim. To their credit, however, not one of them disowned what they inherited from the master. The master too remained blissfully happy that international accolades didn’t travel his way. Anecdotes relating to Arup Mallik abound. In this context, a personal experience comes to mind. Around the late 1970s, Cambridge-based Piero Sraffa’s work was extensively studied in economists’ circles in Calcutta. Arup himself was a specialist in the area (and other areas as well) and I, a classmate from his past, approached him with a question that I couldn’t resolve. Arup listened to me for around a quarter of an hour, twirling his curly hair with his thumb and forefinger which was his habit when deeply engrossed in thought. Then, suddenly, he began to clap his hands in obvious delight and provided simultaneously a crystal clear answer to my question. What surprised me was that he went on praising Sraffa at the top of his melodious voice. “This is absolutely fascinating… Sraffa is a genius,” he repeated several times. Having explained Sraffa to me in his inimitable style, Arup passed on the entire credit of the explanation to Sraffa himself, as if it were the latter that had helped me clarify my doubt about his work. Arup belonged to a hopeless minority that misreads its own achievements as those of others. Over time, Arup’s vibrancy started dissipating and one suspects that the strict curricula-based mechanical teaching rules put him off. He gradually became less forthcoming and, except for his association with a few old students, began to distance himself from the student community. He was afflicted with health problems too and receded into a cocoon, in spite of the best efforts of Sarmila, his erstwhile student, later colleague and caring wife. Few youngsters today who have chosen to pursue the discipline of economics have probably even heard of Arup Mallik, leave alone his brilliance. If so, it is a monumental tragedy. Thanks for the wonderfully written article- so concise, yet telling everything. Actually, a book can be written on him, but…. I am not his student, but I am so fortunate that I could meet him in person and experienced his charming personality. Thank you for your comment. Arup was a remarkable person. I was lucky to have known him since our college days. He was the brightest among my classmates. I learnt a great deal from him.